Just for fun, I'm reposting my writer friend LJ Hayward's writing process blog post, which she wrote back on 11 July, after I tagged her. And a warning - her book Blood Work, and the sequel Demon Dei, are seriously fastmoving and clever and funny and fingernail-bitingly suspenseful. And, unlike most horror/suspense writers, she REALLY knows about blood! Seriously, currently I’m battling through the first draft of Night Call #3. It’s being a contrary beast at the moment. I say one thing and the characters say something different. I point this way and they go that way. In between bouts with NC3, I’m dribbling out bits and pieces on another super-secret project (once again with characters who think they have a right to their own lives. Silly, silly characters), thinking about an altogether different project and finally trying to put together thoughts on yet another project. Yes, folks, that four different things banging and crashing in my head at once. It’s loud and messy and confusing. Fingers crossed that one of them will win the rumble and force me to concentrate on it. At first it all seems like a bad joke to Matt Hawkins, vampire slayer extraordinaire. After taking down a vampire Primal, he’s prepared for serious backlash from the supernatural community. A mob of vampires seeking vengeance or some other Old World nasty thinking to make a name for themselves by taking Matt out. Yeah, nothing of the sort happens. It seems, against the odds, Matt’s managed to scare the baddies into leaving town. But things are never that simple and Matt should know better than to think otherwise. When Matt gets a call from PI Erin McRea’s assistant, asking for his help in a personal matter, he knows he should turn it down. Erin doesn’t like him or his dark world of mythical monsters. Work, however, is scarce and Mercy’s getting lazy. So he throws himself, Mercy and Erin into a murder mystery with a suspect straight out of… Hell? How do you think your work differs from that of other writers in your genre? I like to think I strive to look at the world of the story from a different angle to the obvious. When deciding to use vampires as a main foundation for Night Call, I used science, specifically blood properties, as a base for their driving characterisation. I didn’t want a version of the modern vampire—vegetarian, romantic or tragically understood. I wanted a beast, something to be afraid of. Even the tame vampire in the book isn’t to be completely trusted. In secondary worlds, I look for something that hasn’t been used before, or use something familiar in a different way. Fairies that are pests. Unicorns more goatish than equine. Instead of focusing on wolves or hawks or lions, why not have a shark as the mystical messenger of the hero’s lesson? Instead of a venerable old wizard, why not a funky Whoopie Goldberg-esk woman who makes mistakes as readily as the next person? Instead of a soldier in a war, why not a crazy doctor protesting anything and everything that comes his way? An immortal man who’s barely lived a hundred of his thousand years, jaded yet innocent? But I think true differences come from the characters. It’s the characters who carry the story, regardless of the world. Thus an ordinary guy who puts himself in the middle of a supernatural world he knows diddlysquat about. A ghost hunter who doesn’t believe in ghosts. A warrior goddess who fears wars. A conceited arse presented with a chance to become a better person and doesn’t take it. A peace-orientated doctor befriending an immortal soldier. An assassin who’s target embraces him instead of fearing him. A woman presented with a chance to save the world, but kills it instead. I think a deeper answer might be something along the lines of ‘it’s wish-fulfilment’. In my younger years, as I would read a book, my thoughts would fly ahead of the printed word, extrapolating the story in directions I wanted it to go in. When the stories invariably didn’t go the way I’d planned, I would get a bit cranky. A lot of my early scratchings were an effort to make up for this supposed short-fall. Not so much fan fiction as a desire to fill a gap in my own perception of the genre as a whole. What’s your writing process, and how does it work? I’m a pantser. I think that’s the jargon for someone who doesn’t do a detailed plan, as in ‘by the seat of my pants’. Mostly, I get an idea for a world or setting first. With Blood Work it was the idea of blood properties influencing vampires. Characters begin to drop in next, basic outlines only. Then a hint of a conflict. These ingredients percolate for a while in the back-brain, then one day, something will spark off the flint in my brain and away we go. Flesh gets added to the bones of the world, characters and conflict as the words appear on the screen. New angles and dimensions develop as required. Somewhere in this mix, a plot is born and by the time the end is reached, there’s suddenly a story! This style necessitates a lot of revision. Alongside my main document, I have another one entitled ‘Things to fix in blah blah’, where I jot down little changes or additions to the early parts of the story so it meshes with what happens in the end sections. Those are the first revisions I make. After this, I try to put the story aside for as long as I can stand, to hopefully forget all the nitty gritty. I’ll immerse myself in something else. Meanwhile, that back-brain keeps turning things over and I keep making notes on further changes. All things going to plan, I’ll pull out the first draft after at least a couple of months, then work on it again. Very rarely do I make any major changes at this stage. Structure, plot and character wise, it stays relatively unchanged. Motivations might shift, scenes will be deleted or added, characters cut, but basically, the original plot remains. If I can find some suckers… eh, very lovely and generous people to read it, I’ll make whatever changes they suggest (if I agree with them), then let it sit again. 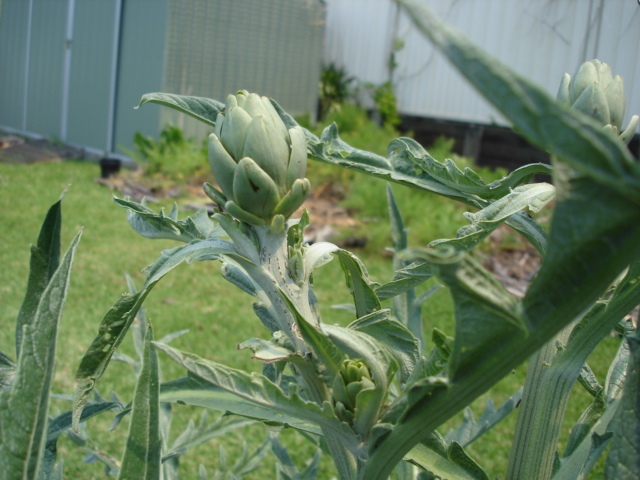 Fingers crossed, it will now mature into something worthy of being released into the wild. 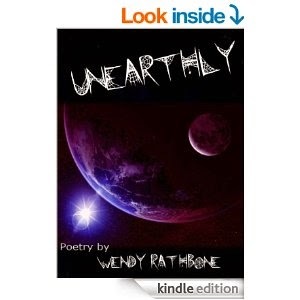 The same Writing Process blog hop that's hopping through the fields of Australian writing has been bopping across the USA - and American spec fic writer and poet Wendy Rathbone's answers were fascinating. I hope you enjoy them as much as I do! Over to Wendy - who blogs somewhere in the Left Dimension. Check out her blog! 1. Why do you write what you do? That’s a very easy answer for me. I write what I want to read. Unfortunately (or maybe not so unfortunate) this puts me all over the place in terms of genre because I like to read many different genres in all types of literature from poetry to novels. As a pre-teen (and even now) my favorite holiday was always Halloween. Some of my first poetic efforts use that holiday as a theme. As a teen, I loved science fiction and I wrote stories and poems around that theme. Many were published in high school and college journals. Later, while still enjoying science fiction, I branched into horror and dark fantasy. I found the genres of both to be more all-encompassing than one might think at first glance. Horror was not only a genre of chills and frights. Psychological character studies and erotica were also broadly accepted in that genre, while general science fiction was (despite Samuel Delany, Nicola Griffith, Storm Constantine and some others doing ground-breaking, taboo-ish themes) in a dry period frowning at explicit erotica, romance or even too much emotion and characterization. I also enjoy romance, erotica and mainstream. I’ve written in all those categories, both with my poetry, short fiction and novels. So you can see I am all over the place in my body of work. It also makes marketing myself more of a chore! 2. How does your writing process work? I love this question because it’s fun to talk about. When I am being creative, my mind does not naturally work in a linear, logical process. Images and phrases and snippets of dialog might pummel me from out of nowhere. This happens when I first get ideas, before I’ve written anything, and it happens in the middle of writing a story or novel as well. It doesn’t stop. It just keeps happening as my story progresses. If I am being smart, I’ll record those lines or scenes in my writing journal. I guess you could call them notes. Often they are poems. Let me talk about poetry here for a second. When the poetry doors open my mind is richly fed. I love playing with words and sounds of words and beautiful, otherworldly images. I’m not focused at all on form, so my poems are mostly free verse with a side of haiku. My mind gets to soar and play, free and unfettered, when I write poetry. And what poetry taught me over the years is a very valuable lesson: trust your subconscious mind in writing and you will be a better writer. My poems that are planned sound planned. My stories that are planned sound planned. When I just let go and write images and words that I love because I am in love with them and for no other reason, I do my best. My process for writing poetry involves an empty book or journal, a pen, and the quiet of the night-time. Most of the time I write poetry in my bed before sleep, and always by hand. Most of the time I have no idea what I’m going to write. Often I use ‘prompts’ in the form of words or sentences from my own work, or from something I am currently reading. This gets my mind into the poetry mode. The prompt word or sentence itself often doesn’t even make it into my poem. Sometimes I make up titles from words I find when I open my poetry journals in the middle and begin looking at words at random on the page, not reading them in order, or sometimes reading sentences backwards. From that poetry exercise, stories and novels can also form. Many of my stories and novels were poems first. I do not use outlines. So instead of writing an outline, I will often write a poem to capture the flavor and atmosphere I want to take wing. Sometimes lines from the poem end up in the story. Despite my crazy process, I still generally write my stories and novels from beginning to end and not out of order. My most recent novel soon to be released, “Letters to an Android,” is the result of a short-short story I wrote for an online challenge, but it is also definitely the result of a series of one line poems (some of which became chapter titles) and haiku. I even found a way to put haiku into the novel! Writing that novel was such play for me. To help inspire me, the process for that novel also included gazing at a lot of science fiction landscapes on art sites and on googleimages. Looking at art also inspires me to write poems. When I was younger I was overwhelmed by the concept of a novel. I didn’t think my ideas were deep enough or long enough to sustain a whole book. I would become anxious at the thought of writing one. My first novel was shelved forever. The second was never completed. 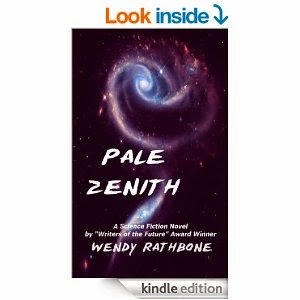 Then I wrote “Pale Zenith,” a science fiction novel, and while writing it I told myself I was going to simply put everything into it that I love, write characters I could describe poetically and fall in love with, and not look back and not worry about it fitting some trend or trope or classic genre. I did do some research for some of the technology in the novel (and research is my least favorite thing,) but other than that it is purely fantastical from my imagination. When I finally broke free of trying to write a “proper novel” and just allowed myself to have a good time, I found the concept of a novel no longer intimidating. Right now I have just finished the edits on “Letters to an Android.” I am also compiling two short story collections, some new and some previously published short stories. The short story collections are “The Red Fountain, Where Vampires Come to Drink,” and “Risque Science Fiction.” The first collects some of my best vampire stories from a period in my life where I was writing a lot of fiction and poetry for magazines such as “Dreams of Decadence,” “Prisoners of the Night” and a lot of long-gone, little magazines. The second will include some of my science fiction that includes erotica, gay characters and/or taboo themes. One of those stories was published in the hardback anthology “Bending the Landscape,” and another in the long out of print anthology “Air Fish.” I don’t want to lose those stories, and so I am doing the collections. One of my newest short stories, “I Keep the Dark that is Your Pain,” is in the anthology A Darke Phantastique due out at the end of July 2014. Sometimes I have dry periods for my poetry, but in the last two and a half months I’ve written a lot of new stuff and continue to do so, and I’ve made new poetry sales to: Pedestal Magazine, Dreams and Nightmares, Horror Writers of America Showcase, and Scifaikuest Magazine. And I have a lot more new poems making the market rounds. 4. How does your work differ from others in the genre? I find this to be the most difficult question to answer. I write in many genres. So the question is what makes my fiction different from other fiction of its kind? I often include bisexual or gay characters in my writings. For erotica writing, such as my short story collection, “My House is Full of Whispers,” I’ve done it all: gay, straight, bi. In my romance novels “The Foundling” and “None Can Hold the Dark” my characters are male and gay. In “Letters to an Android” my main characters are unlabeled as to gender preference, but the main relationship is between two men. That book is science fiction, not erotica. In “Pale Zenith” my characters are fairly straight although I make mention of group marriages, and two of my main characters are unusually close twins who fall for one woman. Another thing I love to do in my fiction is play around with poetic turns of phrase. I hope that makes my writing a little different. I am a believer that character IS plot, and so I don’t force my characters into too much pre-planned plotting. I give them a bit of background, a setting and a couple of related or unrelated ideas, then I let them lead me into their story. My stories are about the people, not the car chase. "Like cats themselves, the poems can be charming and dangerous in the same breath." But why don't you go and read the whole review? It's got extracts from Christopher Smart and David Malouf! Who could resist? And here's a gratuitous cat photo! Felix, being shy. These days, we writers are like bunnies, blog-hopping hither and thither and yon at the drop of a carrot. I'm doing the hop now, after being tagged for the “My Writing Process” blog hop by the excellent George Ivanoff, bon vivant, raconteur and author from Melbourne. He blogs here on his own site, and at Boomerang Books. So, what are my answers to the four Official "My Writing Process" questions? I'm also putting the finishing touches on a review of Leigh Kennedy's short story collection Wind Angels, which I've owed to New York Review of Science Fiction for several years now. It's a delightful book, and I'm feeling guilty that the review has taken so long. I'm helping to organise the Annual General Meeting of the Newcastle Writers Festival; I'm Secretary of the Committee, so it involves me in quite a bit of administration. I'm also thinking about some exciting panel topics for the festival next year – 20-22 March 2015 in sunny Newcastle. Next year's will be the third NWF, and it will be the best one ever! 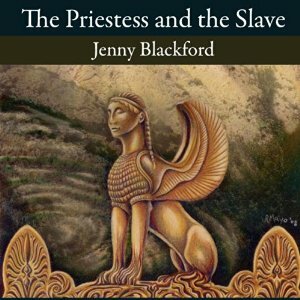 And I'm excited about the new audiobook of my subversively-feminist historical novella The Priestess and the Slave (HRB, 2009), which (I'm honoured to say) Pamela Sargent called “elegant.” I have a few promo codes for free copies (!) to give away in exchange for an honest review (on Goodreads or elsewhere.) It's expertly narrated by the crisp, delicate voice of Hollie Jackson. Please email me if you're interested – jennyblackford [at] bigpond [dot] com. My work has always been odd, and quirky. I'm interested in too many things. Since I was tiny, I wanted to study Greek and Latin, though I ended up as a computer networking specialist before I gave up my day job in 2001. But I'd happily have become an astronomer, or a marine bbiologist, or an anthropologist, or a landscape gardener, or a food historian. My writing reflects all those things, not just the Usual Things. Also, no car chases. I couldn't do a car chase to save my life. I write what I can't help writing. It would be much easier for me to spend my days out in the garden or having an endless stream of long (gluten-free) lunches by the sea – but then my brain gets itchy with unwritten words. The people start talking in my head, and the words have to get out onto the page. Or else. The moment an idea (usually starting with a phrase, or a few disparate words) oozes into my brain, I take notes on whatever's available – the iPhone, the back of an envelope, blank pages in my diary, odd pieces of paper left on the dressing table – often in the middle of the night. I've learnt that if I don't write down the inspiration immediately, however obvious and unforgettable it might seem, it will evaporate. Then, as soon as I get a chance, I edit the result to within an inch of its life. I mostly edit on paper, with a red pen. I also edit on-screen, but it's never the same. I print, red-pen, correct the document on-screen, then print, again and again and again. Then I give a printout to my husband Russell Blackford, who can be relied on for sensible scribbled edits. The I do another layer of editing, until I'm happy. The current poem-in-progress is based on stories my hairdressers were telling me last week – one's grandmother keeps huge chunks of family wedding cake, which are apparently never intended to be eaten, the other's mother keeps the dog's ashes in the living room in a stunningly-expensive box. It gets creepier from there! Perfect poem fodder. I dashed out an outline on my iPhone while I was sittting in the hairdresser's chair, and I've been printing it, editing it on paper, and re-editing all week. So, who have I chosen to answer these same four questions on her own blog? The fabulous L.J. Hayward has had short stories published with Morrigan Books, Eneit Press and Aurealis Magazine. Recently, she published her first novel, Blood Work, an urban fantasy described as “a fast, fabulous read”, “strong and engrossing”, “hysterical at times”, “an attention getter and keeper” and a “beautiful artistic debut” by various folks. Really, it’s just a bit of pulp-ish fun. You can catch up with L.J. on her blog Plot Happens, Facebook or Goodreads. PS. If you want, follow me (Jenny) on Twitter! Everyone knows that cats are the darkest and most mysterious of beasts, uncanny creatures of the night, companions of witches, madmen and poets. They slink through midnight graveyards and ride the night sky on broomsticks with their witchy mistresses. Their relationship with death is intimate; they meet the grim reaper nine times to our once. Darkest of all their rumored crimes is that they'll smother a baby in its cradle, stealing its warm breath. Everyone knows all those things. But cats are essentially contrary beasts. As well as representing the forces of darkness, they are perfectly capable of embodying pure fluffybrained silliness. 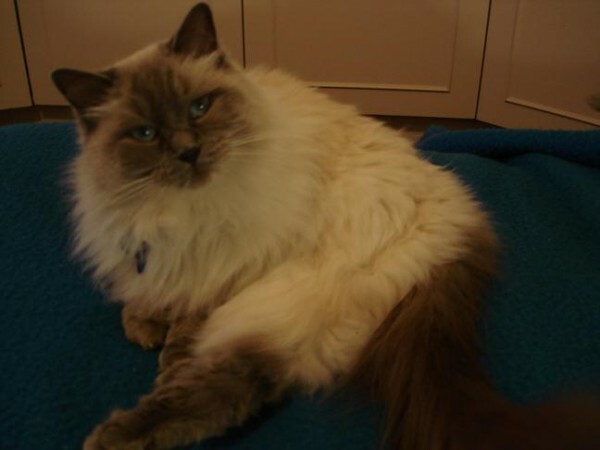 My blue-point Ragdoll furball, who kills the desperate bathmats every evening and yowls to me every morning to follow him outside so that I can protect him from the evil swooping birds out there, is an unlikely ally of the dark. That doesn't mean that cats aren't mysterious, that they don't see and hear things invisible and inaudible to us, that they don't have, ahem, peculiar capabilities – even my own silly Felix. But did cats always walk on the dark side? How far back does their dark reputation really go? Were witches in the ancient world accompanied by feline familiars? My real historical and linguistic expertise is in Greece and Rome, from the Mycenaean Bronze Age through the Roman Empire – very roughly 1600 BC to 400 AD – so I can't pontificate with any huge confidence about the darkness of cats in ancient Egypt. We know that they were mummified in enormous numbers (though the goddess Bastet was, it seems, originally lion-headed, rather than domestic-cat-headed) but their portrayals in art are generally of sandy-colored, stripy-spotty beasts in various sunshiny scenes, including the famous one of the cat boating on the reedy river with its (human) family. The often-reproduced "black" cat from the British Museum is actually bronze, with a stripy tail, so he or she would originally have been a lovely sunny goldenen colour. More importantly, perhaps, cats seem conspicuously unimportant in treatises on Egyptian magic, black or white. They barely rate a mention even in Sir Wallace Budge's classic Egyptian Magic. I can be more confident about ancient Greece and Rome, which I have spent an unreasonable amount of my life learning about, including a long-unfinished Ph.D on the Tripartite Godhead in Indo-European Religion. Dogs were ubiquitous throughout Greek and Roman history, both as pets and as working animals. Cats, on the other hand, were quite rare from the Bronze Age right through to the time of Pericles and Euripides, the 5th century BC (in part, at least, because their export from Egypt was forbidden). In place of cats, children often had ducks as (one suspects somewhat unsatisfactory) pets, and ferrets or even snakes were kept to control unwelcome rodents. Cats gradually increased in numbers in Greece and Rome from the 4th century BC onwards, and spread with the Roman Empire, but even when they became more common, it seems that they still didn't walk on the dark side. It wasn't that ancient Greek and Roman witches, busy with graveyard bones and poisonous herbs, didn't have animal companions! They were closely and frequently associated (at least in literature) with howling dogs, with owls and wolves and even toads, and most of all with snakes – but never, I am sorry to say, with cats. Even Hecate, the dark, uncanny goddess of roadside graves, revenants and witches, had no known interest in cats. Dogs, normally howling, were Hecate's constant companions, and puppies were her preferred sacrifice. As the Greek poet Theocritus wrote of Hecate, in the Idyll which is one of our best pieces of source material for ancient magic: "the dogs shiver before her when she comes over the graves of the dead; the dogs are howling." Indeed, if it ever occurred to the Greeks and Romans that night-stalking cats were uncanny, the thought has left vanishingly little trace in the literary or artistic record. I will leave it to people better-qualified to me to show just where, when, why and how cats really became the quintessential creatures of the night in the popular imagination. But whether the Vox in Rama (purportedly a papal bull issued by Pope Gregory IX in the early 13th century) is authentic or not, its lurid claims of heretics kissing the rear end of a supernatural black cat before a debauch seem emblematic of the way that cats (especially black cats) were thought of through the Middle Ages and beyond. I suspect that it's significant that J.G. Frazer posits in The Golden Bough a long tradition among the Celts of witches transforming themselves into cats (as well as hares), explaining why cats were so often burned to death in the pagan fire-festivals of Europe. Frazer also records a more charming Celtic belief that witches rode at Halloween on tabby-cats transformed into "coal-black steeds". I've toiled in the fields of scholarship long enough to know that pretty much every "fact" innocently relied on by non-experts is vigorously disputed by the learned – but it does seem fairly solid that, by the time that witch trials really took off in Europe in the 15th century, cats were creatures of darkness, and frequent witches' "familiars": demons in the form of domestic animals, which suckled on the witches' blood from their tell-tale witches' marks. Indeed, these days, most people would find the idea of the other animal familiars mentioned in the witch trials (toads, hares and dogs, for example) rather odd. Really, though, it's no wonder that cats are seen as dark, mysterious, even spooky creatures. They can disappear from full view silently, in no time, and can evade all the skills of human beings to find them – then they can re-appear from nowhere, just as silently, with no apology. They can manifest themselves on a warm bed, snuggled behind your knees, with you having no memory of how they got there. They seem just as confident and comfortable in the cold, dark night garden as snuggled on the warm, bright sofa. Indeed, their uncanny-eyed midnight selves seem scarcely to recognize their human families. Even by day, they see and smell and hear things that we can't – and we can't help suspecting that they might be right. 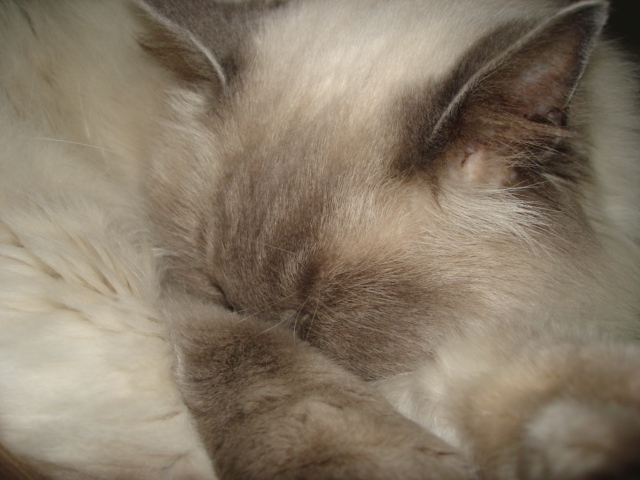 Despite the fact that my fluff-brained cat is incapable of killing even a baby mouse (he brings his tiny prey unharmed to me to deal with, depositing them on the carpet and yowling in anxious triumph), I still start to worry when he whines and sniffs for hours at something invisible and inaudible. After a day of such eerie goings-on, I might even be tempted to write a horror poem starting, "The cat's convinced there's something in the corner, something bad." 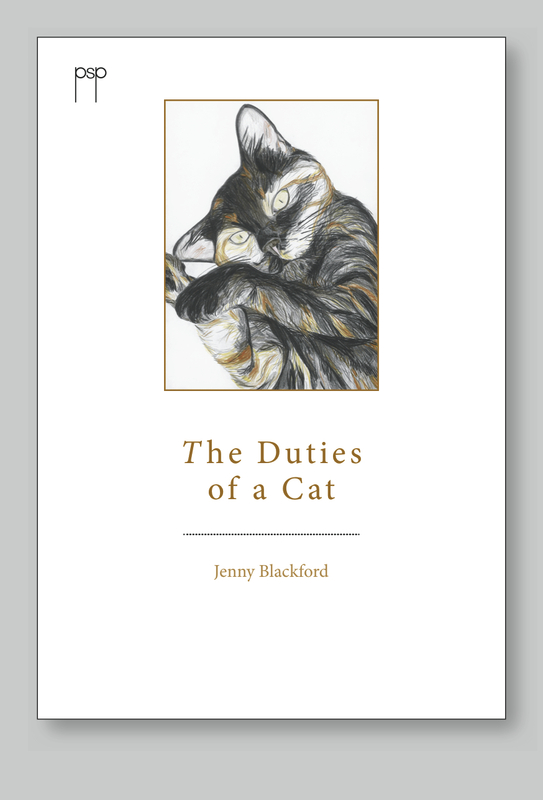 I'll leave you with the last few lines of an ambivalent cat poem that's included in my new illustrated chapbook of cat poems, The Duties of a Cat. When I wrote "Soft silk sack", I thought was all sweetness and light. It was only afterwards that I thought about the bones. turns, warm, against my thigh. Story Box interview! On the radio and everything! Somewhat before the crack of dawn this morning I was interviewed on 1233 ABC Radio Newcastle for their Story Box series, which I'm sorry to say I'd never heard of - they always take place before 7am, which is NOT my best time of day. Much coffee was needed. It's life-story, not tell-me-a-story. The early breakfast presenter, Craig Hamilton, asked me about how I came to be writing poetry about cats after a degree (and half a PhD) in Classics and 20 years in large computer networking. Which does sound a touch unlikely when it's put like that, I have to admit. And I answered. Last night, the wonderful Pitt Street Poetry held a "soft launch" at their Christmas party from multi-award-winning Mark Tredinnick's brand-new BLUEWREN CANTOS, and for my equally new THE DUTIES OF A CAT. They commissioned six glorious cat pictures from artist Michael Robson - and three of them are taken from photos of my very own Felix the Wondercat. "Power Men" up on Strange Horizons! I'm chuffed - OK, I'm DELIGHTED - that my poem "Power Men" is up at Strange Horizons right now!!! Please feel free to read it for free! No, I haven't lost my mind. This isn't a post about a real diet. "New Miracle Celebrity Weight Loss Diet" is the title of my H.G. Wells tribute story included in the June Penumbra e-mag. It might be worth pointing out that my story "A Moveable Feast" in Amanda Pillar's lovely bloodthirsty Bloodstones anthology (from the delightful Ticonderoga Publications) is another H. G. Wells tribute. And I probably ought to mention that I have a blog post up at the Musa Publishing blog, answering their question "How long did it take you to get your first publication, and what were some of the obstacles you had to overcome?" Now It Can Be Revealed - I'm in the process of signing a contract with the extremely lovely Pitt Street Poetry for a slim illustrated volume of my cat poems. Many thanks to my leo life-mate, Russell, and to my smaller and furrier muse who mews, Felix.